In 2004, the ART purchased four small islands to the south of the Falklands: Rum (7 ha), Brandy (25 hy), Whisky (13 ha) and Sea Lion Easterly (85 ha). These islands have never been inhabited by humans nor have any alien species been introduced. As a result, they provide a haven for the original native flora and fauna of the Falkland Islands, and including a number of endemic species. Furthermore, in 2006 the islands were designated as an ‘Important Bird Area’ by BirdLife International*. The ART aims to protect these islands and their wildlife in perpetuity. Following initial surveys in November 2008, 2011 and 2013, 29 different plant species, one of which endemic to the Falklands, 31 bird species (2 endemic) and 3 seal species were identified (see brief report [in German]). 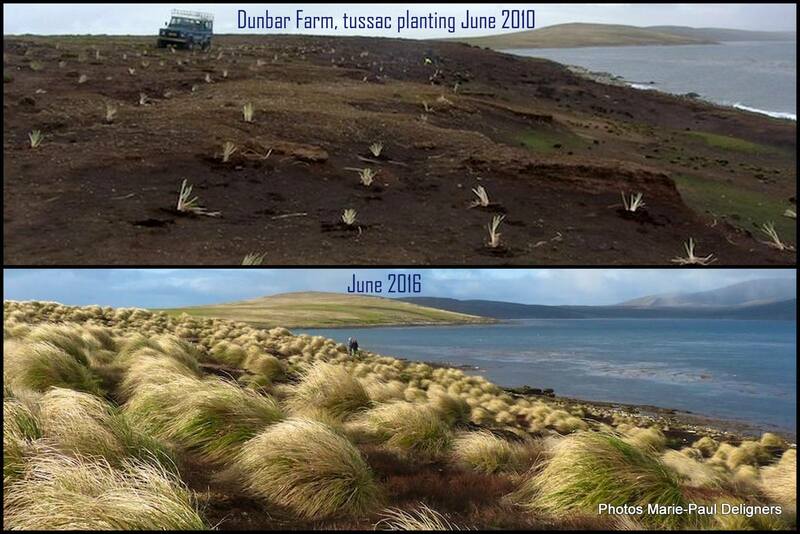 In 2016, the ART purchased another island in the West Falklands, Hummock Island (303 ha). 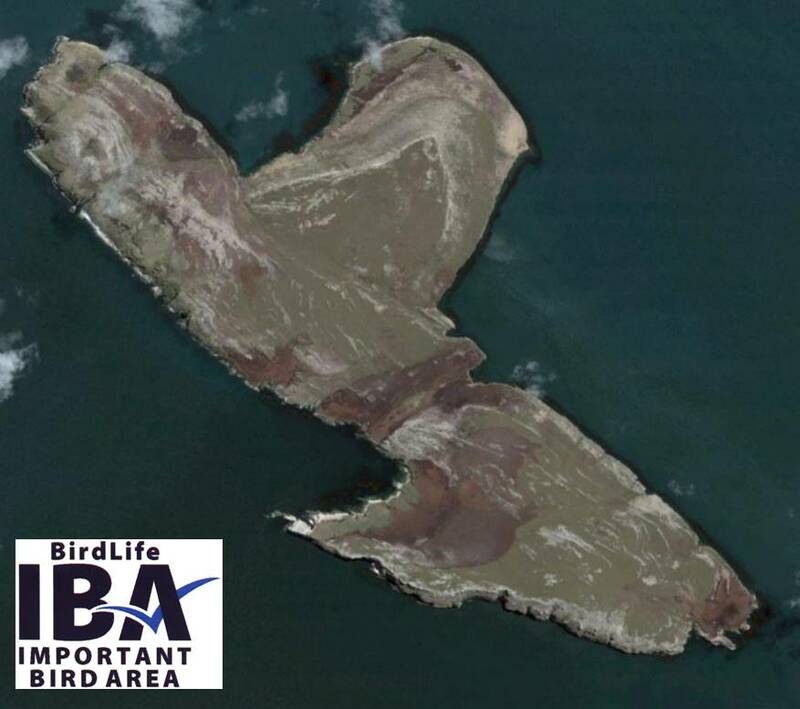 As above, the island has been designated as an ‘Important Bird Area’ by BirdLife International in 2006*. However, and in contrary to the Sea Lion Islands, Hummock island has supported a large number of sheep and horse in the past, resulting in large areas being void of plants and subject to soil erosion. Although the grazers have been removed in 1981, overgrazing has led to substantial parts of the island being eroded without any signs of recovery over the past 35 years. The ART aims to return this island to its original status by re-vegetating the eroded areas over the upcoming years. Also, the ART intends to build a field research station to perform long-term monitoring studies on the islands flora and fauna. The exterior of the field research station has been completed in November 2017, the interior will be dealt with in 2018 and the official inauguration is scheduled for November 2018. Article published in Penguin News on 1 December 2017 on the construction of the research station and the beginn of the restoration.